where things don't have to make sense. After being hit by two terrible storms, one after the other, parts of the Philippine archipelago have been left submerged in murky flood water...and much sorrow for lives lost, homes destroyed, livelihoods crippled. But, as in any tragedy or calamity, the Filipino spirit remains resilient and unwavering. This leaves all of us to ask: "Why did this happen?" There have been many theories, overly complicated analyzations. But the bottom line is that Mother Earth has reached its boiling point and all of these are simply the results of our actions (or inactions). Not just by Filipinos but by the citizens of the world. It's not too late. Sure, we've got our work cut out for us. But for as long as there are clear skies, air to breathe, water to drink, lives to protect, we should never abandon our cause. Save what needs saving, and save the world. Recycle, reuse, reinforce green policies, and remember that other people rely on this finite Earth, too. Many relief operations and donations from within the country and abroad have helped our ailing brothers and sisters, and for this we are very grateful as a nation. But the nightmare is still far from over for most. Many have completely lost their homes and are still taking refuge from evacuation centers, relying on relief assistance for food and water. If you wish to provide ANY kind of assistance, go to the Google Help Typhoon Victims in the Philippines page. Categories: Blog Action Day, Heal the World, What's News? 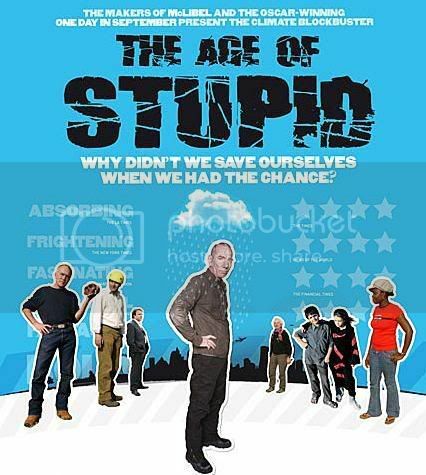 The Age Of Stupid: How More Stupid Can We Get? 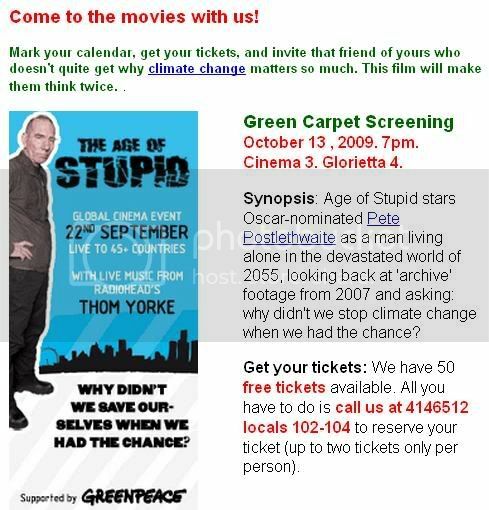 Also featuring Moby, Radiohead's Thom Yorke, Gillian Anderson, Kofi Annan, Mary Robinson, Heather Graham, and many others. Categories: Celebs, Heal the World, Silverscreen, What's News? Fritz Dorado-Obias is a freelance website copywriter and full-time homemaker. 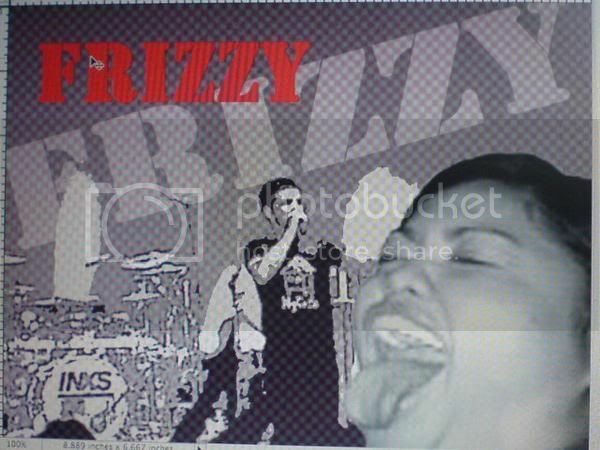 Aside from wanting to be huge in the international music scene, Frizzy is also hoping to stumble upon the cure for all diseases someday. And host the grandest food fight party in Africa.